On November 6, ebook distributor Pronoun announced that it was shutting down its operations. 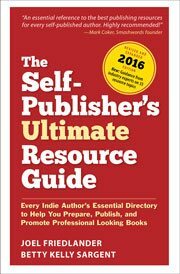 So where does that leave indie publishers looking to release new ebooks? To an indie author, metadata is probably the most important part of your book — aside from the book itself. Let’s talk about what metadata actually is. Learn about the most useful properties to use in CSS for ebooks, and the rules that help you define the way a particular chunk of text or an image displays.